Police last night arrested a South Carolina stripper in connection with a brutal stiletto assault that left a female coworker with puncture wounds in her head. 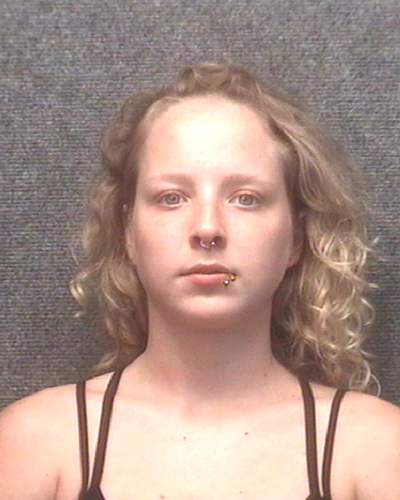 Carolynn Wright, 22, was arrested by Myrtle Beach cops and charged with assaulting the 24-year-old victim at the Chez Joey strip joint. Wright, seen in the adjacent mug shot, appeared this morning in General Sessions court, where her bond was set at $5000 on the felony count. The beating left Michaels-Hoder with two puncture wounds in her scalp that required staples. Additionally, she suffered a swollen left eye and swelling to her forehead. The police report does not reveal a motive for Wright’s alleged attack.